Blank plastic template sheet 12" x 18". 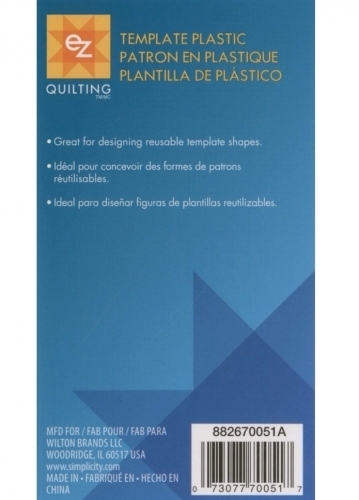 Excellent for making reusable quilt templates. Cuts easily with scissors or craft knife. Edges will not fray or curl. These templates can be used over and over again.